When Millie woke up that morning she had no expectations of anything remotely new, let alone life changing or even interesting would happen. She woke up with that same heavy feeling in her chest like she did most mornings. It wasn’t a feeling of sadness, but one of mediocrity. Millie was a believer in documenting her life. She had this idea that one day she could look back on her life and enjoy reading about it. She kept journals of how she saw her life as it was day to day…. Millie began her day the same every day. Four steps before she left her bedroom. These steps were never planned by Millie yet eventually it became part of her routine. STEP ONE: Get out of bed, Millie. On days where she can’t sleep in for some reason or another, Millie sets her alarm for 8:00 am so she would be awake my 8:30. When that first alarm goes off she hits the snooze on her alarm clock every 9 minutes for 27 minutes. That leaves her with three minutes. So, she usually spends that time staring at the ceiling of her bedroom. STEP TWO: Pump Up The Volume. Millie met Sam two summers ago when his family was vacationing and stopped in her town for a couple weeks. The two met when they were both with their families at a Labor Day parade. While everyone around them was watching endless amounts of cattle, horses and too many cowboys to count make their way down main street, they talked like they had known one another forever. She was amazed by his knowledge of music. He shared a mixtape he made for himself and they have been close friends since that day. They continue to send tapes and letters to each other. He lives in Chicago, but they don’t let it bother them. She has a kindred spirit in Sam. 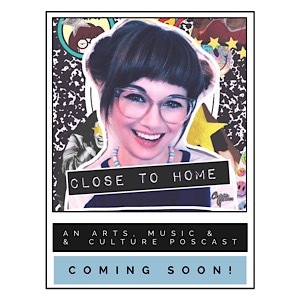 This past summer she received 6 mixes from Sam and those songs made up the mixtape she would play this very morning as she was going through her routine. 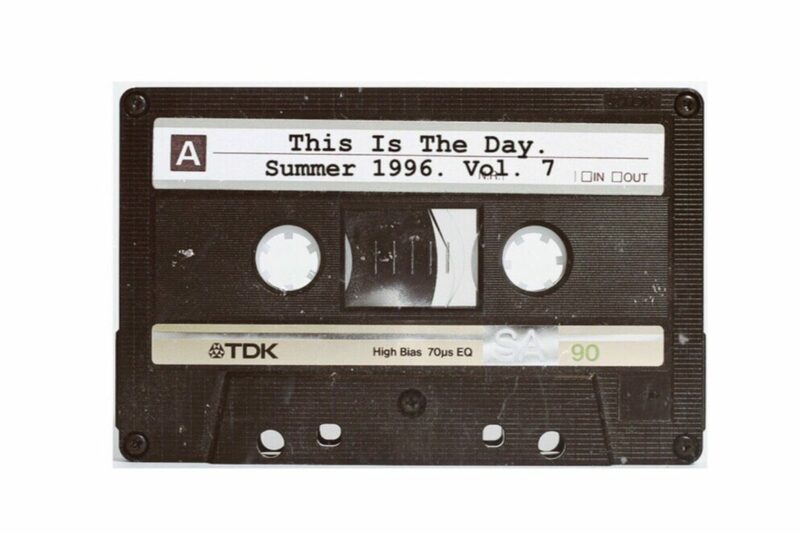 She popped the tape into her stereo and “This Is The Day’ by The The began to play. She, of course was completely unaware of how it was about to be the perfect song for that day. STEP THREE: It’s Called Fashion. Next step is to move her sluggish body out of bed and zombie walk over to the closet. Millie saved up last summer to buy them and they have been a part of her existence ever since. Her mother tries to get her to buy new shoes every now and then, but these were the only shoes she would ever need again. She would of course settle for her backups, black Converse high tops. Classic. Millie’s fashion icons consisted of…. When people in town asked her about where she got her clothing inspiration from she would try to tell them but all I get back were answers like…. “That chick who killed Kurt Cobain?”- Kenny Jameson. The kid who sells pot behind the high school. “That angry woman who sings songs on the radio?” – Mrs. Smith, owner of ‘Smiths Flower Patch,’ a flower shop on the edge of main street. And “that adorable little girl from E.T. ?”- Mae Andrews, her late grandmother. Mae and Millie had a special bond. When Mae tragically died in a car accident the summer before it shattered Millie’s world. Since then she’s had a slight fear of riding in cars. That’s one great part of living in a small town. Short car rides. When it came to makeup and hair Millie is about as minimal as it gets. She sticks with basics which consists of lip gloss, mascara and blush. Sometimes if she was feeling slightly fancier than usual she might of wear an actual lipstick but those moments were far and few between. Millie’s brown hair can almost always be found up in a ponytail. Despite her hair inspirations being those of the alternative persuasion, her hair doesn’t reflect that one bit. She puts on this act like she doesn’t care what people think about her. But she really does care. She cares a lot. After she was done getting ready she looked in the mirror at the walls of her bedroom behind her which were plastered with photos of bands and magazine articles that she’d saved over the years. Some she had ripped from magazines and newspapers and others from letters that Sam would send her in the mail. Her favorite bands played in venues that are small, dirty and full of life and that were too far away for her to get to. She lived exactly eighty-one miles away from Austin. Austin is where Millie felt she belonged, not there in that small cowboy town. 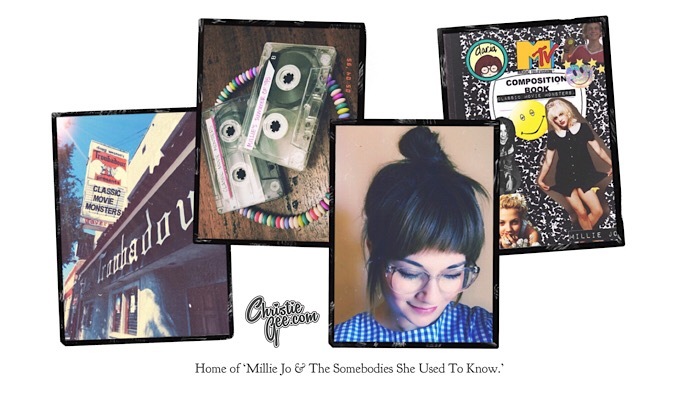 In Austin the bands she loved played live shows at those venues, the magazines that she had to wait so long to read were sold at local record stores along with the newest album releases. The city of Marling has a grand total of 3 stoplights, 1 grocery store, 1 video rental shop with a very limited selection of movies on VHS to choose from, 3 (which is about 2 too many to be honest) gas stations, 1 post office, 1 beauty salon, a public school with it’s obnoxiously ginormous football field and countless bars & local churches. A majority of Marling’s 954 residents are convinced they know everyone’s business even when it’s not theirs to know. Truthfully it doesn’t matter anyway because people are going to say what they say even if it’s untrue. Unlike 99% of this town she’s not a football fanatic and she doesn’t understand why everyone spends their Friday nights standing around in parking lots afterwards. Millie wont be found at parties on the weekends where everyone is high, drunk or both. The thought of it all stressed her out. Despite her lack of social skills she got along with everyone pretty well. There was one, however, single glimmer of hope for her there in that small town. Millie spent a majority of her days at a small roller rink that the town had funded to “keep the kids out of trouble.” This where she would go to daydream. Luckily for her she was paid to do that daydreamin’ while the cheerleaders, football stars, stoners and even the uncool skated together in endless circles to lame pop music. She worked the snack bar where she sipped on Dr. Pepper while casually chewing on the candy necklace that she snagged before clocking in for the day. She would keep herself entertained by listening to her mix tapes with her headphones on, to drown out the irritating music playing loudly over the sound system. She quietly sang to herself as she served the patrons. Once and a while her boss would let her play one of the songs from her tape when the rink was having a slow day. Her boss had a soft spot for Millie because he just happened to be her father who was hired by the city to run the skating rink. He understood Millie more than most people. He grew up in California and was dragged to Texas when he was younger by his military family. He was aware that there was a bigger world out there and Millie had discovered it. He had always encouraged her to dream bigger so he would allow her to have some fun playing her favorite music. One fateful Wednesday she played a song and her life changed forever. This particular day was hotter than hell outside and it brought in a few new people that wanted to escape the hellfire. She popped her mixtape into the player and her favorite song began to play. She watched as kids skated around and around while the disco ball spun slowly. The lights seemed for once to be so beautiful. There was something about this particular song that made the moment, although it was just like any other day of her life, seem magical. It was as if she had escaped into the world where she belonged. She gazed at the floor where the wheels of the rented skates and lights would collide on the freshly waxed floor while the music played and again she would slip off into a daydream as she leaned over the counter still still chewing the pieces of that candy necklace. She snapped out of it when she heard a voice in front of her she didn’t recognize. Millie was sure knew all the voices in that town so this took her by surprise. She glanced up to see a face of someone new. “I love this record.” he said to her. She looked up to see someone who loved this RECORD. Not just this song…but he knew about the ENTIRE record. Her life was about to change….she just had to wait a good while. You can follow the ‘Millie Jo & The Somebodies She Used To Know’ soundtrack via Sportify by clickng the link below or the Playlisy options in the menu above. There you can find an iTunes playlist as well. To stay updated with Millie’s story please subscribe and you will get notified first of new chapters.